Butler Pavers has been in business for more than ten years. 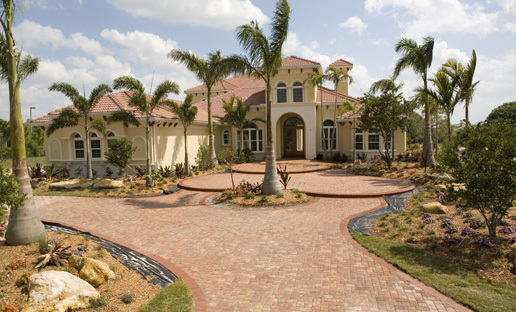 A Florida state licensed contractor, Butler Pavers services Southwest Florida from Tampa to Bonita Springs but can do work anywhere in the state. The company was founded by Randy Butler, a lifelong resident of Southwest Florida with decades of experience in construction and landscaping. Butler Pavers is a family business, and approaches every job with a strong sense of ethics and a desire to get the job done right. At Butler Pavers, every job is a custom job, and we would rather work with our clients to provide a beautiful product, rather than throw everything down as quickly and cheaply as possible. We offer a one-year warrantee on all our installations. Butler Pavers has always been committed to customer service and community betterment. In a chaotic economy, many companies start up solely to make a quick profit, only to disappear when business drops. So if your last contractor isn't answering their phones anymore, give Butler Pavers a call.